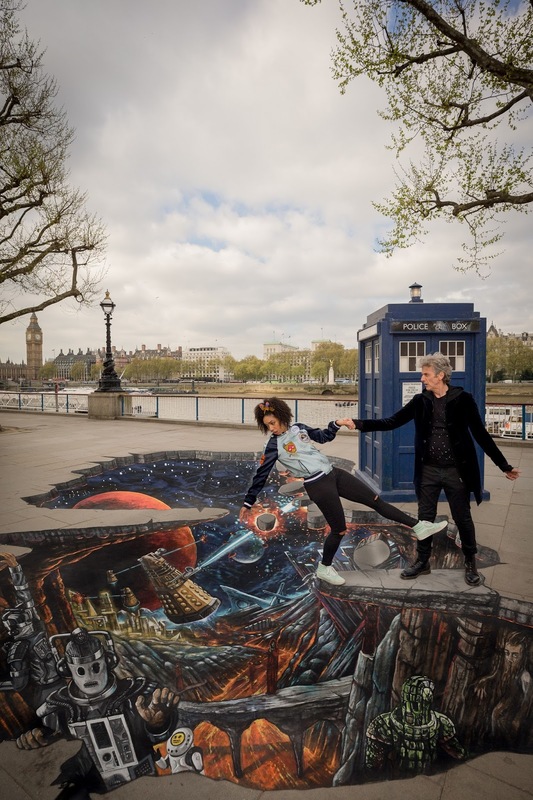 To celebrate the launch of the new series of Doctor Who the BBC has commissioned a 3D art installation along the Southbank in London. 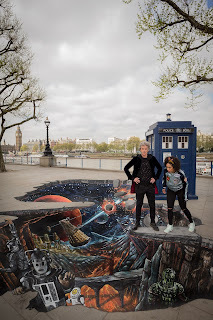 Peter Capaldi (The Doctor) and Pearl Mackie (Bill) dropped by to pose in front of the TARDIS by the River Thames in London, alongside a fantastic 3D pavement painting of a vast, deep and magnificent alien landscape. 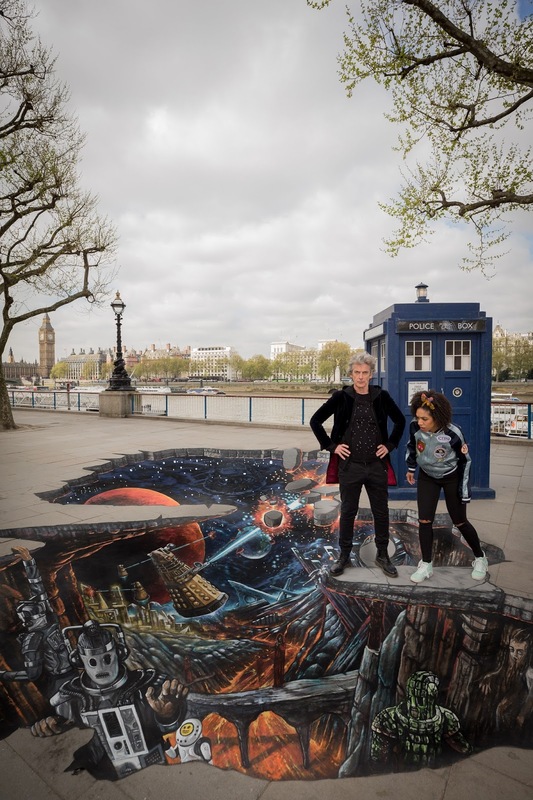 The installation is however temporary - so if you want to see it, get down there fast before it's washed away!The artwork itself has been produced by '3D Joe & Max' and gives a small insight into elements that will feature in Series 10 including Mondasian Cybermen, Emojibots and Monks. 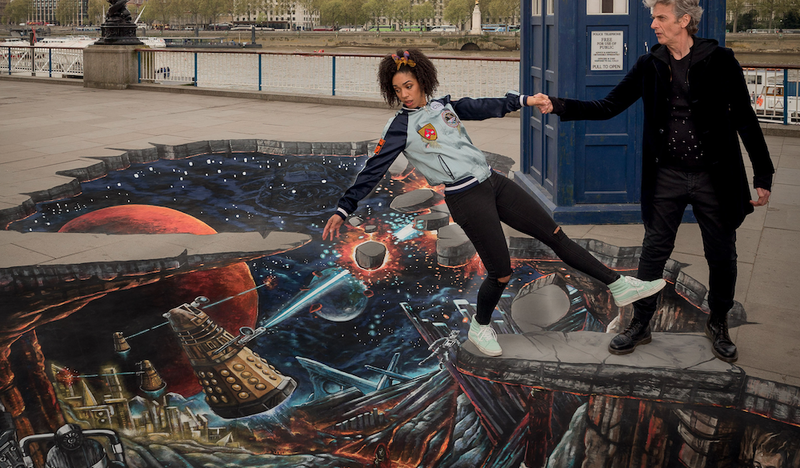 Doctor Who Series 10 begins Saturday 15th April 7:20PM BBC One.